If you’ve never looked at a planted tank before, you’d probably be surprised at just how vibrant and lively the aquarium seems to be. That’s because the freshwater aquarium plants provide natural filtration for the water, help keep fish healthy, and can even help you breed your fish. Aquarium plants are used by fish for any number of things, including safety, comfort, food, and reproduction, so they’re vital to any healthy aquarium environment. 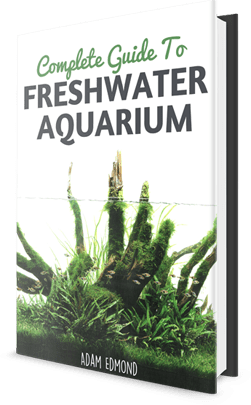 You’ll find great resources in a few places online, but here’s a list of the top 10 freshwater aquarium plants that are nearly impossible to kill, and grow quickly in most every kind of water. It can be tempting to set up everything in your aquarium on the same day, but in most cases it’s not a good idea. You’re aquarium needs to go through what’s called a cycling process, where the water quality and parameters and vary widely. During this time, There are very few fish that can survive. This is why most experienced fish keepers will tell you to wait for a period of time before you put live fish in. Click here to read more about setting up your aquarium tank. However, plants don’t require this. You’re free to add plants as soon you get the water in the aquarium! Just be sure you have the correct plant tools to avoid harming them while you’re planting. There are three categories of plants for most aquariums: Foreground, Midground, and Background. 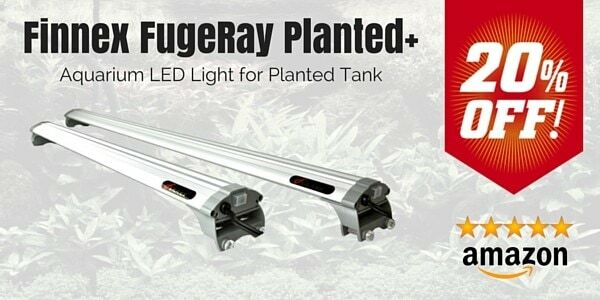 Each type requires various types of light, and there are certain setups that make your plants grow much more effectively. Take a look at the best lighting setups for beginners. Carpeting plants like Java Moss, Willow Moss, and Water Wisteria tend to stay low to the ground and spread horizontally across the floor of your aquarium. Because of this, they make a great foreground plants. Java Moss is one of the most common plants in a tank. It’s low-maintenance, difficult to kill, and grows quickly. If you attach it to a rock, it’ll crawl over the surface of your tank. it has been known to float, so it’s best advised to attach it to something to prevent any float-away. Appearance: Low, carpetlike growth pattern. Appears ‘fuzzy’. Water Preferences: Tolerates anything between 72-90 degrees Farenheight. Growth is fastest around 73 degrees. Lighting Preferences: Grows well in any lighting. However, growth is fastest in medium-high lighting conditions. Uses: Decoration, substrate covering and stabilization, carpeting, protection, and breeding of certain types of fish. These are my most favorite carpeting plant. It’s tough, hard-working, and a healthy carpet of DBT looks beautiful in many of the common aquascaping styles. As a bonus, if they’re producing oxygen, Dwarf Baby Tears have beautiful little bubbles that form on their leaves. Appearance: Low, carpetlike growth pattern. Healthy carpets of DBT are thick and vibrant. Water Preferences: Tolerates anything between 72-85 degrees Farenheight. Growth is fastest around 73-75 degrees. Lighting Preferences: Grows best in bright lighting conditions, thought amount of light affects growth patterns. Brighter light means more compact growth. Uses: Decoration, substrate covering and stabilization, carpeting, and protection. PS: It has been highlighted to me by Kara Van Kirk in this post that Dwarf Baby Tears might not be suitable for beginners as it requires ideal lighting and CO2. Thanks, Kara! The aquascaping possibilities are endless with this type of plant. It looks beautiful next to Stone, as well as contrasting perfectly with dark sand or soil. Appearance: Small to medium sized strands of what would appear to be grass. Carpets easily in most environments. Water Preferences: Tolerates most environments. Grows best in water that’s 72-78 degrees Farenheight. Uses:Decoration, accenting various hardscape features such as stone and wood, carpeting, and protection. PS: It has been highlighted to me by Kara Van Kirk in this post that Dwarf Hairgrass might not be suitable for beginners as it requires ideal lighting and CO2. Thanks, Kara! the aqua escaping possibilities are endless with this type of plant. It looks beautiful next to Stone, as well as contrasting perfectly with dark sand or soil. Appearance: Easily identified by the ‘clover’ appearance of its leaves. Carpets easily in most environments. Water Preferences: Tolerates most environments. Grows best in water that’s 73-78 degrees Farenheight. Lighting Preferences:Grows in most lighting conditions. Does best in medium lighting. The Amazon Sword is the staple of most aquascapes. It’s easy to maintain, fast-growing, and can be quite beautiful when arranged in the appropriate area. Water Preferences: Grows best in water that’s 72-82 degrees Farenheight. Lighting Preferences:Growth is optimal in medium lighting. Uses:Background decoration, hiding plumbing and hardware, and protection. Java Fern is very a very low maintenance plant, and has a unique look that appeals to most aquascapers. Its biggest benefit is its ability to be planted in nearly any area of the aquarium without distracting from the hardscape. It also looks quite good! Appearance: Semi-striped, thick leaves. Appears in bunches. Water Preferences: Grows best in water that’s 72-78 degrees Farenheight. Lighting Preferences:Growth is optimal in low-medium lighting. Anubias Nana is one of the more appealing midground plants you’ll find in aquascaping. It tolerates nearly any water quality or environment. With curved stems and large semi-round leaves, it’s a great match for the stone aquascaping present in most aquariums. Appearance: Curved stems with medium-sized, semi-round leaves. Uses:Decoration and protection. Looks beautiful in any aquarium placement. This plant isn’t often seen in aquascaping. Mostly because it’s very similar to what we see everyday of our lives—grass. It’s useful for placement around hardscapes, and is beautiful when properly trimmed. However, it’s nearly impossible to accidentally kill it! Appearance: Strikingly similar to most lawn grass. Lighting Preferences:Growth is optimal in medium-bright lighting. Uses:Decoration and protection. Good for placement around hardscapes. Besides having an interesting name, this is one of the most unique foreground plants available to aquascapers today. It has a striking zig-zag shape in its leaves, and grows in a ‘blooming’ pattern that’s visually appealing in front of hardscapes. Appearance: Beautiful ‘blooming’ growth pattern. Zig-zag shaped leaves. Dwarf Saggitaria is an easily-maintained plant that maxes out at around 4-6 inches, making it perfect for midground aquascapes. Placing Dwarf Saggitaria around stonework or driftwood is an ideal location, giving it a perfect place to root into the wood or stone, and is an ideal complement. Appearance: Vibrant green leaves with curved blades. If you’ve enjoyed reading this post and find it useful, please do me a favor by sharing it with your friends. For more aquarium guides and inspiration, do sign up to our newsletter or like our FB Page. Thank you for such a lovely article. I’m a beginner & It’d be really helpful if you could also mention the various prerequisites for each plant & the type of fish that can be placed in the aquarium. If you’re a beginner don’t try to use Hemianthus callitrichoides “dwarf baby tears” or POGOSTEMON HELFERI “downoi”. These not beginner plants at all. If your a beginner and not very good with plants in general, stick with ferns, moss, and anubis, and never bury them. Instead tie them to rocks or wood. How do you tie them to rocks? We are planting everything in the substrate, and I am really struggling with my java moss! Haha! Do you use thread to bunch it together and tie to something? Sorry, no idea!! Thanks! Hi, you need to tie the java moss to something preferably a rock or driftwood to make sure it stays in position. You can use a fishing line or even thread. Hello, This may be a bit old news at this point by the looks of the date posted but I have had great success using Aqua-glue for adhering my Java Moss to rocks and driftwood. This stuff is like underwater super glue and is very inexpensive. The brand that I use is made by Seachem and is called Flourish Glue. It does not hurt any other components in your aquarium and is perfectly fish-safe. java moss, java fern and anubias nana are good plants for a starter aquarium? will they get along nice with all kinds of fishes? if not, what are the best fresh water plants (low maintenance and fish friendly) for a starter? Hi Marco, yup they are fairly easy to maintain especially Anubias Nana. They’ll get along fine with most fishes. buying online, it gets very expensive to ship out i bet…..
portuguese folks arent used to reddit, might have better luck among facebook groups. or classifieds websites. I agree with you. I made 3 attempts and fail misery. It never did at all. It depends on where you bought your java moss.I had the same experience when I bought it from a online store. It died in days. Then I went to a store who informed me that most online Moss is not used to totally submersed environment. So I tried his and it was true. Very healthy still. Hello! Marimo moss balls are typically sold in the betta fish section at mainstream petstores. (petsmart petco ect.) Low lighting is what they require; and main care is just squeezing them out every week or so. Note that goldfish may see them as a tasty snack. With freshwater shrimp, moss can help with breeding and overall survival. Hope this helps! I have a question, can you put bamboo in your aquarium? Also is it better to use the bamboo with Bettas? I have in my 20 gallon aquarium guppies, neon & angel fish. I have my betta in a 5 gallon aquarium. Hi Shawna, bamboos are not an aquatic plant so it might rot and die if added to your aquarium fully submerge. You might have seen some aquariums with bamboos, those are typically fake bamboos for aesthetic purposes. Hope that helps. I assume you mean lucky bamboo and not actual bamboo. Lucky bamboo can be planted with the leaves out of water. If planted with the leaves in water it’ll rot. Hi Suraj, generally it will not harm your fishes if you setup your Co2 system properly and introduce a small amount at a time into your tank. It will lead to Co2 poisoning if there are too much Co2 in the tank. I want to know whether fresh water planted tank can be closed or not in top with doom? Yes, they can be closed. In fact, there are a number of reasons you should close it. Some of it being prevent heat from escaping, less evaporation and fish can’t jump out. I have started a 55g heavily planted aquarium, in the past I used once plant food for my 39g and my Panda Cories died within 3 days. My question. Has anyone have this problem? I’d like to give my plants a boost but I’m afraid. By the way, my perimeters were normal when this occurred. Thanks. Yes, I have. I made a few attempts and fail. My water parameter were fine. Fertilizer and root tab are no use. It is CO2 that works very well but you might end killing your fish. You don’t need fertilizer. Your healthy fish produce it. I started keeping freshwater tropical fish at around the first grade–with no pump or filter, just very good instruction from my dad. Lots of plants, a few fish. You have to set up the tank for a while before you add fish, then start adding fish very slowly once the plants start growing over most of the tank floor. The fish have lots of safe space and the plants get the best fertilizer possible. It takes patience but the result is very beautiful. Hi! I just want to ask if there are any aquarium plants that do not need Co2? Hi Cholo, all plants require Co2. But I’m sure you know that. =p I guess you meant if any plants do not require Co2 injection. Well, having Co2 injection will help All plants grow faster and healthier. But hardy plants like Amazon sword and java moss can survive (but slow growth) without additional Co2 injected into the water. Why will plants not grow under my filter? I have a 36 gal. bow front aquarium & plants grow everywhere else but there. Can you put sweet pea flowers in an aquarium? i am a beginner and have a 36 gal set up with sands only without plant growth substrate… what are the freshwater plants recommended? do i need to add a layer of plant growth substrate underneath the sands? What type of plants are best for guppies? I would like them to stay near the top ? ? Do you recommend any plants for a beginner with 6 to 10 gloFish (Danio Rerio) in a 20 gal high tank (fluorescent lamp, dark bed)? I want my aquarium to be more than an LED lit plastic farm… something more sustainable and balanced. Perhaps a java fern? Thx in adv. Sounds like a fun tank! Java fern would look great with a dark substrate and glow fish. Another plant you could use is the dwarf hair grass for carpeting, it looks really nice with dark substrate and brightly colored fish.